Two Steps from Hell is an American production music company based in Los Angeles, California, founded by Thomas Bergersen and Nick Phoenix in 2006. The company focuses predominantly on movie and trailer music, and has supplied tracks to films such as Interstellar, Harry Potter, Pirates of the Caribbean, and X-Men. Two Steps from Hell was founded in 2006 when Thomas Bergersen and Nick Phoenix joined forces to write original music for movie trailers. Bergersen moved from Trondheim, Norway to the United States in 2003, along with Phoenix, who began composing in 1997, before moving to Los Angeles. The two formed the company in early 2006, and have composed music for over 1,000 major motion picture trailers. With the founding of the company in 2006, Bergersen was looking for a name that would draw attention with the old adage in mind, "All PR is good PR." The idea for the name came from "Two floors from heaven", a Norwegian nightclub that, according to Bergersen, had a similar theme. Two Steps from Hell mainly produces trailer music and epic music, although recently it has also been used for television shows and video games. Despite the company finding success for its music, the tracks were never officially released to the public until the May 2010 release of the commercial album Invincible. Invincible was approaching Gold record status. As of January 2017, Two Steps from Hell has published 10 public albums in addition to 20 demonstration albums, with almost 1,000 unique tracks in total. The album Sun, which was released on September 30, 2014, is the second solo album from Thomas Bergersen. Preview tracks were released from the album, titled "Cry" and "Sun", the former of which can be downloaded from Bergersen's official website. An official music video for "Sun" was also released on YouTube, preceding the announcement of a signed limited deluxe edition CD release set to include additional tracks and notes from Thomas, as well as a large-size poster featuring his artwork. Additionally, in July 2014 Two Steps from Hell released an e-book known as Colin Frake on Fire Mountain, which features a 75,000-word novel written by Nick Phoenix with illustrations by Otto Bjornik, as well as an original score also made available via a soundtrack release. A sequel entitled Colin Frake: Asclepius was released on April 2017. Two Steps from Hell's main graphic artist is Steven Gilmore, who has created album covers for almost every promotional and public release, including the logo of the company, with the only exception being the 2009 DVD release of their library, for which the album cover was created by Paul Zeaiter. Additionally, Thomas Bergersen's Illusions solo album features design by Jesper Krijgsman, while its sequel, Sun, features artwork created by Thomas himself. Trailers for, but not limited to: Harry Potter and the Order of the Phoenix, Harry Potter and the Deathly Hallows: Part 1, Harry Potter and the Deathly Hallows: Part 2, Star Trek, Star Trek Into Darkness, The Dark Knight, The Fighter, Rise of the Planet of the Apes, Tron: Legacy, Anna Karenina, No Country for Old Men, 2012, Captain America: The First Avenger, The Avengers, X-Men: First Class, X-Men: Days of Future Past, Pirates of the Caribbean: At World's End, Super 8, Inception, World War Z, The Chronicles of Narnia: The Voyage of the Dawn Treader, Lincoln, WALL-E, Up, The Twilight Saga: Eclipse, Hugo, The Town, Priest, Prince of Persia, Interstellar, The Man Who Knew Infinity, and Neon Genesis Evangelion. Video games such as Resident Evil 6, Mass Effect 2, Mass Effect 3 (Taking Back Earth trailer, Black Blade), PlanetSide 2, Killzone 3, Star Wars: The Old Republic, Elder Scrolls Online, League of Legends (E-sports tournaments; Various Pieces from the Burn album), The Witcher 3 (A Night to Remember Trailer; A Hole in the Sun), F1 2013, Assassin's Creed IV: Black Flag and Uncharted 4. Television series such as Breaking Bad, Doctor Who, Game of Thrones, Sherlock, I'm a Celebrity...Get Me Out of Here!, Revolution, Homeland, The Walking Dead, Supernatural, Merlin, Deadliest Warrior, Nathan for You, The World Wars, Wild Planet: North America and during the 2012 London Olympics. The track "Archangel", from the album of the same name, was also used in an episode of Britain's Got Talent. The track "Nero" was also used in the Top Gear special: "The Perfect Road Trip", in the series "Heart of Courage" was used in season 17, episode 3 and in season 18, episode 4, and “Black Blade” was used in season 19, episode 2, and season 21, episode 4. Their song "Heart of Courage" is used as the main opening theme song of the television show Nathan for You. Their song "Heart of Courage" was used in the beginning of UEFA Euro 2012 matches, in the beginning of the London 2012 Olympic games athletics finals and also in a promotional video for the 2011 World Youth Day in Madrid. Their song "Heart of Courage" is actually used as the main opening theme of the italian history an culture television series of Ulisse, il piacere della scoperta directed by Alberto Angela. The song "Invincible" was performed live by Royal Marine Bands in the Royal Albert Hall in London in April 2013. On June 4, 2012, an official app was announced for iOS and Android, containing 19 tracks of previously released music in a compilation album called Demon's Dance. The app was announced via the company's official Twitter feed. The app was officially released on June 26, 2012 for iOS, followed by the Android release the next day. American artistic gymnast Alicia Sacramone used "Heart of Courage" combined with another song for her floor routine in 2011. Ukrainian rhythmic gymnast Alina Maksymenko used a medley of songs of the team producers for her hoop routine in 2012, she finished 6th at the rhythmic gymnastics individual all around final in London. That same medley was used in 2013 by Italian artistic gymnast Enus Mariani for her floor routine. Swiss artistic gymnast Giulia Steingruber used the song "Love and Loss" as her floor music in 2013. 2013 America's Got Talent winner Kenichi Ebina used a number of songs in his performances en route to his victory in the reality show, including "Ocean Princess", "Promise" and "For The Win". 2014 America's Got Talent contestants Valo and Bobby used "Archangel" in their quarterfinal performance. 2016 Britain's Got Talent contestant Alex Magala used "Strength of a Thousand Men" and "SkyWorld" in his semi-final performance. The Calgary Flames used the song "Sons of War" in their 2011-2012 season opening video. Russian figure skater Elena Radionova used the song "Nero" as her short program music in 2013-2014. Australian snooker player Neil Robertson uses Heart Of Courage as his walk on music in competitions. The song 'Heart Of Courage' was used by the Springbok rugby team in May 2015 in their build up video for the 2015 IRB World Cup. In October 2015, Microsoft used the song "Rebirth" from the Orion album in the unveiling of the company's first laptop, the Surface Book. In Ubisoft's Watch Dogs 2 the song "Neverdark" from the Classics Vol. 2 album can be heard sounding through the boxes in a wargames' club. British Aviva Premiership Rugby Union team, Sale Sharks have "Heart of Courage" as their fanfare when they come onto the pitch at the beginning of a game. The Burn Dubstep remix of "Strength of a Thousand Men" was used as background music for a challenge in episode 2 of Season 7 of RuPaul's Drag Race in which the remaining queens had to take pictures while being blasted in the face with a leaf blower. American progressive metal band Dream Theater used the song "The Colonel" as an introduction song for their Images, Words & Beyond 2017 World Tour. They also used the song “Atlas” as the introduction song for their Distance Over Time Tour in 2019. "For The Win" was used as the theme song to CTV/TSN's coverage of the 2018 FIFA World Cup in Canada. "To Glory" was used as the background music to the Republic of Singapore Air Force's 50th anniversary special aerial flypast in Singapore National Day Parade, 2018. The second live concert happened on April 20, 2018 and was organized by the Film Music Prague Festival. The concert was performed by Praga Sinfonietta, which was conducted by Petr Pololáník, Kühns mixed choir, Merethe Soltvedt and Kamila Nývltová as solo singers. Thomas Bergersen participated on several songs playing on violin or piano. Performed were these songs: "Strength of a Thousand Men", "Fill My Heart", "Protectors of Earth", "Everlasting", "Heart of Courage", "Fire Nation", "Ocean Princess", "Master of Shadows", "Flight of the Silverbird", "Blackout", "Winterspell", "Stormkeeper", "Evergreen", "Neverdark", "Victory", "Fall of the Fountain World", "To Glory", and as an encore "Remember Me". Invincible (2010) — Compilation of some of the most popular Two Steps from Hell tracks. Illusions (2011) — Thomas Bergersen solo album, formerly titled Nemesis II. Archangel (2011) — Compilation of more of the most popular Two Steps from Hell tracks. Demon's Dance (2012) — Compilation of tracks from various albums spanning multiple genres, available only on the Two Steps from Hell app for iOS and Android. Halloween (2012) — Compilation of well-known horror tracks from several demonstration albums, with several other-genre tracks as well. SkyWorld (2012) — First public album to use mostly all-new tracks. Classics Volume One (2013) — Compilation of previously unreleased tracks in the same vein as Invincible and Archangel. First public album available in lossless audio. Speed of Sound (2013) — Nick Phoenix album. All-new tracks. Miracles (2014) — An epic drama/emotional album with the best of Illumina, Dreams & Imaginations, Two Steps From Heaven, and a few new tracks composed by Thomas Bergersen. Sun (2014) — All new tracks by Thomas Bergersen. Follow-up to Illusions. Battlecry (2015) — Public Album; follow-up to SkyWorld and the first public album to be released on two discs. It was later re-released in 2017 as Battlecry Anthology, featuring instrumental and orchestral versions of all the tracks from the original album. Legacy (2015) — Japan-exclusive album featuring compiled tracks from previous public albums. Classics Volume Two (2015) — Compilation of new and previously unreleased tracks. Two Steps from Hell: Ringtones (2016) — A collection of ringtones released on Google Play. Vanquish (2016) — Features vocal performances by Felicia Farerre, Asja Kadric, Jenifer Thigpen, and Linea Adamson. Unleashed (2017) — Features vocal performances by Merethe Soltvedt, C.C. White, Felicia Farerre, Uyanga Bold, Nick Phoenix and Linea Adamson. Impossible (2018) — Second Japan-exclusive album featuring compiled tracks from previous public albums like Battlecry, Vanquish, Unleashed and Classics Volume Two. Dragon (2019) — Features vocal performances by Felicia Farerre, Merethe Soltvedt, and Uyanga Bold. Dragon II (?) — Announced by Thomas Bergersen during the premier live stream of Dragon. Power of Darkness (2010) — Epic genre album. Later re-released to the public as Power of Darkness Anthology in 2017, containing alternate and instrumental/orchestral Versions of songs from the original album. All Drones Go to Hell (2010) — New Age album; also known as Mystical Beginnings. Illumina (2010) — New Age album. Later re-released to the public as Illumina Anthology in 2018, without some tracks previously released on Miracles. Balls to the Wall (2011) — Percussion album, with some tracks composed by Alex Pfeffer. Nero (2011) — Epic genre album, with some tracks composed by Alex Pfeffer. Later re-released to the public as Nero Anthology in 2017, containing alternate and instrumental/orchestral Versions of songs from the original album. Two Steps from Heaven (2012) — Pet project of Thomas Bergersen, featuring inspiring, emotional, and adventurous music. Later re-released to the public as Heaven Anthology in 2017, containing alternate and instrumental/orchestral Versions of songs from the original album. Burn (2012) — A small collection of eight dubstep remixed tracks. Open Conspiracy (2014) — Electronic Hybrid album composed by Hitesh Ceon, Nick Kaelar, Thomas Bergersen and Nick Phoenix. Amaria (2014) — new age/drama album composed by Thomas Bergersen. Too Big to Fail (2014) — Sound effects library / Trailer toolkit. Empire (2015) — Industry Album. Mostly consists of tracks from Classics Volume Two composed by Nick Phoenix. Stronger Faster Braver (2015) — Subtitled as "Extreme Sports Music". Motivational, energetic and driving compositions. Hammerfist (2017) — Percussion album, entirely composed by Thomas Bergersen. Trapstar (2018) — Experimental hip hop album. Faction (2012) — Dark drones and soundscapes. Putative author is "Brad Rue", as shown on ExtremeMusic.com. Solaris (2013) — Epic futuristic metal album, actually composed by Alex Pfeffer, who had previously contributed several tracks on Balls to the Wall and Nero. Orion (2013) — Short epic hybrid album composed by Michał Cielecki. Quarantine (2014) — Sci-fi electronica album composed by Brad Rue. Additionally, composer Troels Folmann contributed a number of tracks to the industry albums Dynasty, Dreams & Imaginations, and Legend, though he was credited only for the latter. "American Dream" (2018) - A symphonic suite composed by Thomas Bergersen. "A Place in Heaven" (2011) — Pre-release single from the Illusions album. Vocals performed by Jenifer Thigpen. "Ocean Princess" (2011) — Pre-release single from the Illusions album. Vocals performed by Merethe Soltvedt. "Starvation" (2011) — Pre-release single from the Illusions album. "Promise" (2011) — Pre-release single from the Illusions album. Features cello performed by Tina Guo and vocals performed by Merethe Soltvedt. "Heart" (2011) — Originally a single made to raise money to help the Tōhoku earthquake victims. Later included on the Two Steps from Heaven and Miracles albums. "The Hero in Your Heart" (2013) — A single made to raise money to help the victims of the Typhoon Haiyan in the Philippines. Lyrics written and performed by Merethe Soltvedt. "That's A Wrap" (2014) — A dark, adventurous orchestral ten-minute song created entirely with Thomas's proprietary sample library. "Autumn Love" (2014) — An emotional, piano-driven track in a similar style to Dreams and Imaginations. "Stay" (2014) — A pop-themed pre-release single from the Miracles album. Lyrics written and performed by Merethe Soltvedt. "Miracles" (2014) — A second pre-release single from the Miracles album. "Children of the Sun" (2015.05.04) — Original vocal version of "None Shall Live" from the Battlecry album. Lyrics performed by Merethe Soltvedt. "Threnody for Europe" (2016.07.23) — A nearly ten-minute track intended as "a musical contemplation on the current unrest in Europe." "You Are Light" (2018) — A new ethereal 5-minute track featuring the vocals of Felicia Farerre. "Imagine" (2018) — A new song by Thomas Bergersen. "In Orbit" (2018) — A new epic rock song by Thomas Bergersen featuring the vocals of Cinda M.
"Brightest Smile" (2018) — Another ethereal composition by Thomas Bergersen featuring the vocals of Natalie Major. "Catch Me" (2019) — A 7-minute epic pop composition by Thomas Bergersen featuring the vocals of Sonna. "Next to You" (2019) — A 3-minute uplifting track by Thomas Bergersen featuring once again the vocals of Sonna. "One Million Voices" (2019) — A 9-minute soundtrack by Thomas Bergersen from his upcoming album "Humanity". "Soaring Over Hollywood" (2009) — A demo track created using the East West Hollywood Strings sample library. "Just Another Happy Ending" (2009) — A demo track created using the East West Hollywood Strings sample library. "In Your Arms" (2010) — A remix of "Memories" from the Dreams & Imaginations album, featuring Merethe Soltvedt. "Tower of Mischief" (2011) — Intended as a preview track for the Two Steps from Heaven album, but ultimately released on Nero. "My Freedom" (2011) — A track originally considered for release on Illusions. Later included on the Nero album. Lyrics performed by Merethe Soltvedt. Has since been released to the public on the album Miracles. "Benedictus" (2011) — Originally intended for release on Sun. Later included on the Two Steps from Heaven album. "My Soul, Not Yours" (2012) — Experimental dubstep track. Later included on the Burn album as "Not Your Soul". "Hymn to Life" (2012) — A track released on the occasion of Thomas's birthday. Later performed in a Czech concert as "Hymnus Vitae Dedicatus". "To Die on Halloween" (2012) — A song from the public album, Halloween, with lyrics written and performed by Nick Phoenix. An official music video was released via YouTube. "Colin and Petunia" (2014) — Preview track for the Colin Frake on Fire Mountain album. Retitled "Colin Frake" for its album release. "Freedom Ship" (2015) — Preview track for the Battlecry album. Composed by Nick Phoenix. "Neverdark" (2015) — Preview track for the Classics Volume Two album. Composed by Nick Phoenix. "High C's" (2015)- Preview track for the "Vanquish" album. "Fall of the Fountain World" (2016)- Preview track for the "Vanquish" album. "Dear Mr. Alien" (2018) - Inspired by a news report that talked about a criminal shooting children and caught cursing / swearing, which led to the media outlet censoring his foul language, as explained by Thomas himself on his Facebook page. Lyrics were also written by Thomas Bergersen. Two Steps From Hell has released two e-books, and each book has an accompanying soundtrack. ^ "Two Steps From Hell Home". Two Steps from Hell. ^ "About". Two Steps from Hell. ^ Interview with Thomas Bergersen and Nick Phoenix, Burst Magazine August 2013, S. 43. ^ "Sneak preview". Thomas Bergersen via Facebook. ^ ""Sun" music video". Thomas Bergersen via Facebook. ^ ""Sun" Deluxe Edition announcement". Thomas Bergersen via Facebook. ^ "Colin Frake on Fire Mountain released". Two Steps from Hell via Facebook. ^ "Colin Frake: Asclepius is now available on iBooks". Two Steps from Hell via Facebook. ^ "About". Two Steps from Hell. Retrieved 2012-08-09. ^ "Portfolio". Paul Zeaiter. Retrieved 2012-08-09. ^ "Jesper Krijgsman Grafik Design | Illusions CD". Jesper Krijgsman. ^ "Comment on cover photo post". Thomas Bergersen via Facebook. ^ "Breaking Bad Season 4 Trailer". AMC. ^ "Nathan For You - Frozen Yogurt". Youtube. ^ "26 Years of World Youth Days". Youtube. ^ "Royal Marine Bands' Performance on Youtube". YouTube. Retrieved 2013-04-23. ^ "Twitter post". Official Two Steps from Hell Twitter account. ^ "Facebook announcement". Two Steps from Hell. ^ "The TSFH app on the App Store". Two Steps from Hell via App Store. ^ "The TSFH app on Google Play". Two Steps from Hell via Google Play. ^ "Kenichi Ebina's Performances in America's Got Talent 2013". ^ "Calgary Flames 2011-12 opening video". ^ "Players' Walk-On Music". World Snooker. Retrieved 12 April 2016. ^ "#HomeGroundAdvantage Launch Video 2015: HD Full version". BokTube SA Rugby. Retrieved 12 April 2016. ^ "The New Microsoft Surface Book". Retrieved 12 April 2016. ^ "Article about the TSFH Concert". SoundtracksAndTrailerMusic.com. Retrieved 2013-06-16. ^ "Albums". Two Steps from Hell. ^ "Miracles on ExtremeMusic". ExtremeMusic. ^ "Battlecry Anthology". Two Step From Hell via iTunes. Archived from the original on 2017-04-26. ^ ""Legacy" on iTunes (Japan)". iTunes. ^ ""Two Steps from Hell: Ringtones" on Google Play". Google Play. ^ Vanquish digital booklet (PDF)|format= requires |url= (help) (Media notes). Two Steps from Hell. ^ "Vanquish announcement". Two Step From Hell via Facebook. ^ Unleashed digital booklet (PDF)|format= requires |url= (help) (Media notes). Two Steps from Hell. ^ "Two Steps From Hell - Official Facebook Page". www.facebook.com. Retrieved 2017-09-20. ^ a b "Music". Two Steps from Hell. ^ a b "Two Steps from Hell – All Drones Go To Hell & Illumina". Trailer Music News. Retrieved 22 July 2010. ^ "All Drones Go To Hell". Two Steps from Hell. Retrieved 2013-06-04. ^ "Nero Anthology". Two Step From Hell via iTunes. ^ "Burn on ExtremeMusic.com". Extreme Music. ^ "Crime Lab on ExtremeMusic.com". Extreme Music. ^ "Open Conspiracy on ExtremeMusic.com". Extreme Music. ^ "Thomas Bergersen blog entry". Thomas Bergersen via Thomasbergersen.com. ^ "Thomas's comment on "Too Big to Fail"". Thomas Bergersen via Facebook. ^ "Too Big to Fail on ExtremeMusic.com". Two Steps from Hell via extrememusic.com. ^ "Empire on ExtremeMusic.com". ExtremeMusic. ^ "Stronger Faster Braver on ExtremeMusic.com". ExtremeMusic. ^ "Hammerfist on ExtremeMusic.com". ExtremeMusic. 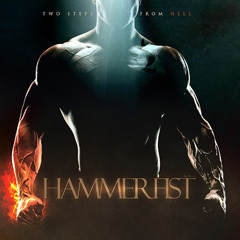 ^ "Hammerfist cover on ExtremeMusic.com server". ExtremeMusic. ^ "Trapstar on ExtremeMusic.com". ExtremeMusic. ^ "Orion announcement on Extreme's Facebook page". ExtremeMusic via Facebook. ^ "Quarantine on ExtremeMusic.com". Extreme Music. ^ "Brad Rue composes Quarantine". Thomas Bergersen via Facebook. ^ ""News about Nemesis II" Facebook note". Two Steps from Hell via Facebook. ^ "Thomas' symphonic suite "American Dream" is out". ^ "Illusions singles released". Thomas Bergersen via Facebook. ^ ""Heart" single released". Thomas Bergersen via Facebook. ^ ""The Hero in Your Heart" single released". Thomas Bergersen via Facebook. ^ ""That's a Wrap" download link". Thomas Bergersen via Facebook. ^ ""Autumn Love" single released". Thomas Bergersen via Facebook. ^ ""Into Darkness" single announcement". Thomas Bergersen via Facebook. ^ ""Miracles" single released". Thomas Bergersen via Facebook. ^ ""Children of the Sun" on iTunes". Two Steps from Hell via iTunes. ^ "Christmas Medley announcement". Two Steps from Hell via Facebook. ^ "Two Steps From Xmas on Extreme Music". Extreme Music. ^ ""Threnody for Europe" announcement". Two Steps from Hell via Facbook. ^ ""You Are Light" announcement". Two Steps from Hell via Facebook. ^ "Thomas Bergersen - Imagine (feat. Sonna)". Thomas Bergersen via YouTube. ^ ""Tower of Mischief" download link". Thomas Bergersen via Facebook. ^ ""My Freedom" download link". Thomas Bergersen via Facebook. ^ ""Benedictus" download link". Thomas Bergersen via Facebook. ^ ""Where Are You" download link". Thomas Bergersen via Facebook. ^ ""My Soul, Not Yours" download link". Thomas Bergersen via Facebook. ^ ""Hymn to Life" download link". Thomas Bergersen via Facebook. ^ ""Hymnus Vitae Dedicatus" concert video". Thomas Bergersen via Facebook. ^ ""To Die On Halloween" official music video". Two Steps from Hell via Facebook. ^ "Colin Frake - Recording the Soundtrack". Two Steps from Hell via YouTube. ^ ""Freedom Ship" on YouTube". Two Steps from Hell via YouTube. ^ ""Neverdark" on YouTube". Two Steps from Hell via YouTube. ^ "High C's on Youtube". ^ ""Fall of the Fountain World" on Youtube". Archived from the original on 2013-08-19. ^ ""Colin Frake on Fire Mountain" on iBooks". Two Steps from Hell via iTunes. ^ "Colin Frake". Two Steps from Hell. ^ "Colin Frake on CDBaby.com". Two Steps from Hell via CDBaby. ^ ""Colin Frake - Asclepius" on iBooks". Two Steps from Hell via iTunes. This page was last edited on 20 April 2019, at 14:42 (UTC).